The following interview was conducted in early December 2015 by WW Chicago correspondent, Danielle Boachie, with representatives of the Black Students for Revolution (BSFR) at the University of Illinois–Urbana Champaign. Anti-racist rally at University of Illinois — Urbana Champaign. WW: What led to the formation of BSFR? Black Students for Revolution at UIUC formed from the desperate need for a modern Black student movement that rejects reformist strategies and contributes to a grassroots intersectional revolution. With over 2 million Black college students in the U.S., the need has never been greater for setting a new standard in how Black students utilize their intellectual privilege to transform the material/social conditions of Black communities. In sum, this organization was formed by like-minded radical Black students at UIUC as a vehicle through which to fight for the freedom of Black people and lend our minds, bodies and souls to the revolution at hand. 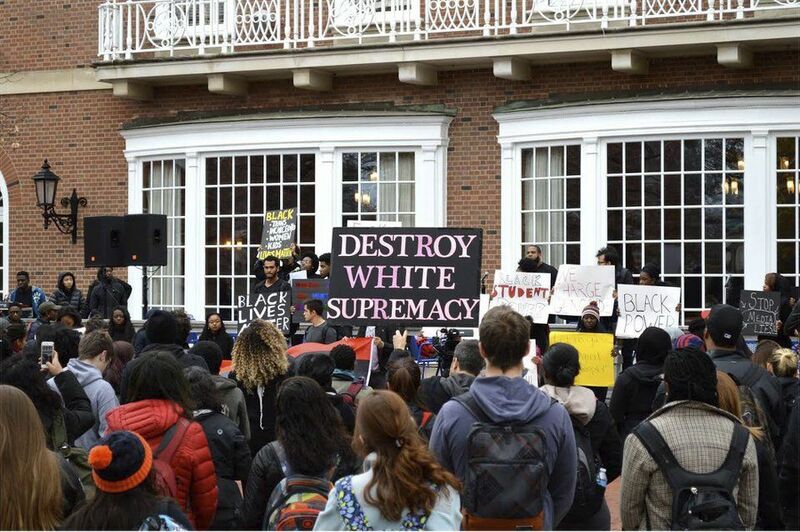 WW: What occurred during the Black Student Solidarity Rally? What responses did you receive from the racist group “Illini White Student Union”? The rally brought the Black students of UIUC together in solidarity with other Black students at universities and colleges across the country. The rally did exactly what it was designed to do: it ignited a revolutionary and radical spirit across the Black student body. Already, just days after the rally, there is a newfound community and drive amongst Black students. Additionally, the rally centralized Black struggle, Black voices and Black cultural pride on the campus. Several students, both undergraduate and graduate, spoke during the rally. Hip-hop and spoken word were employed throughout and one participant performed a chilling rendition of Billie Holiday’s “Strange Fruit.” Unsurprisingly, there was also immediate pushback from members of the white student body. This pushback included the formation of a white supremacist group, the “Illini White Student Union,” which has been thoroughly covered by multiple news outlets. Despite the racist response of the white student body, we remain committed to seeing Black students on our campus, as well as campuses across the country, demand and seize equal treatment at their respective universities. WW: Mizzou’s #ConcernedStudent1950 has brought awareness to the formation and/or existence of anti-Black student groups on various college campuses like U.C. Berkeley and UCLA. What is your analysis of this trend and its relationship to the Black Lives Matter movement? As Karl Marx stated, history is driven by a dialectical relationship between oppression and resistance. 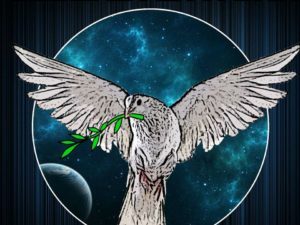 As more collective consciousness develops amongst oppressed groups and they construct counter hegemonic actions, the ruling class responds by repressing the colonized through violence, intimidation and removing more material needs. Now that we are in a period of neoliberalism, David Harvey argues that any form of genuine democracy or oppressed struggle to overcome our colonized position results in serious repression, particularly the creation of white supremacist regimes and increased state-sponsored violence by police forces. These white supremacy groups that are being created across major universities and colleges in America are a direct result of America’s historically foundational, toxic racial climate. #ConcernedStudent1950’s success in organizing against and outside of the system sent shockwaves through the white ruling class. Additionally, the white ruling class fears that Blacks will copy the Mizzou model and shut down the profit-generating machines on their campuses. We do not believe the creation of white supremacist groups on campuses across the country is a legitimate response to the Black Lives Matter movement. These anti-Black groups were created out of white fear of Black collective, radical actions against racial capitalism on college campuses. WW: Your statement references Black feminist and intersectional ideologies. How does BSFR tie this to the colonization of the Black nation and the systematic oppression of people of color? Frantz Fanon once described colonialism as “violence in its natural state.” Fanon’s conclusion still holds weight today. The present condition of Black peoples cannot be detached from the violence that shaped our past. Black women have, inarguably, borne the brunt of this violence. For, even as Black men were worked to death and murdered, forced into poor schools and denied good-paying jobs, we too were starved, and lynched, housed in the worst neighborhoods, sent to the worst schools and raped. A society that silences its women cannot survive; similarly, the oppression of the Black community has always been linked to the oppression of Black women and Black queer identities. Black feminism argues that class oppression, racism and sexism are inextricably bound together. Our previous refusal to acknowledge the intersection of oppressions is a key reason why Black revolutions of times past failed. 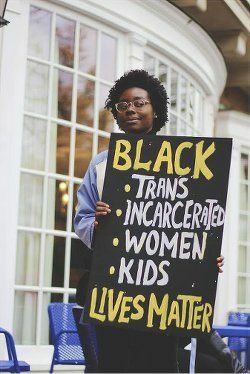 It is completely unacceptable that one in three Black women will be raped in her lifetime and that, just this year, over 16 black trans women have been murdered. We cannot afford to believe that freedom is the right of only one particular group of Black people. Rather, we must fight oppression wherever it seeks to destroy us. WW: What connections does BSFR make between capitalism and white supremacy? 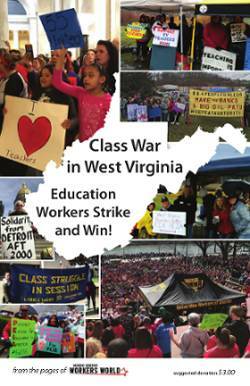 Black Students for Revolution recognizes that capitalism is the creator and driving force behind racial oppression in the American empire and world history. Capitalism derives from a Eurocentric concept of “civilization” and “progress.” Thus, for Europeans, capitalism has always been some sort of “evolution” where communal people “progressed” to individualist, competitive and colonial. As a result, the European powers competed with each other to conquer as much land in the Western Hemisphere and extract as much profit as possible from colonized Indigenous groups. Capitalism became more racialized following Bacon’s Rebellion of 1676, where Black slaves and white indentured servants collectivized to overthrow their rulers. The white ruling class understood this rebellion as dangerous to their system, so racialized laws were enacted to subordinate Black people. As agricultural capitalism transformed into industrial capitalism during the World War I era, racialized working conditions in industry further separated the Black and white working class by positioning Black people as the subproletariat (Black people received the dirtiest jobs and lowest wages with no chance of mobility). So when labor activism developed, Black and white workers were in conflict; therefore, no serious revolution to overthrow capitalism developed. As industrial capitalism shifted to neoliberal global capitalism in the mid 1970s, deindustrialization devastated Black urban communities more than any other space in America. 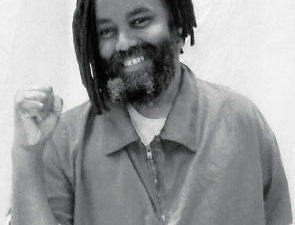 As Huey P. Newton’s “Intercommunalism” argues, the removal of resources and working-class jobs from Black urban centers results in a larger lumpenproletariat; when working class jobs leave America, Black people can no longer obtain basic material needs to survive via subproletariat work, so they become lumpen, or members of an underground economy (what some would call “criminal” activity, but I argue deindustrialization and imperialism is much more criminal). In other words, institutionalized racism helps keep capitalism afloat because it divides the working class along racial lines so that class-consciousness cannot develop. 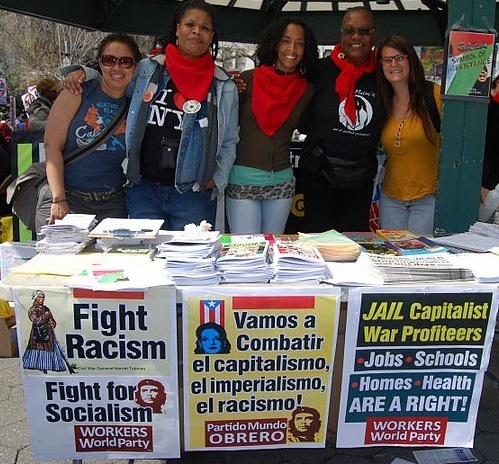 Without racial oppression, capitalism would fall to working-class communities organizing together to end their oppressive state. WW: What does BSFR hope to change at UIUC? What are its goals? Foremost, we hope to encourage the development of intersectional revolutionary thought within the minds of Black students at UIUC. Never again should it be said that Black college graduates turn their back on the Black communities they come from and the Black communities they live near while they are in school. We hope to encourage diasporic, Black cultural pride, using hip-hop and the work of Black intellectuals as primary analytical frameworks. We aim to organize with students across the country against the exorbitant cost of higher education and push for free tuition in all public institutions. Perhaps most critically, we intend to take an Afrocentric approach to our struggle for Black liberation, forging international connections with student populations on the African continent, in the Caribbean, South America and Palestine. WW: How can our readers support Black Students for Revolution and your struggle against racism on your campus? The best way for readers to support Black Students for Revolution is to continue radically organizing their own communities to abolish racial oppression. Political education, survival programs through the community and radical grassroots organizing are vital to our effort to secure human rights for all oppressed people. With more organized revolutionaries in our society, Black Students for Revolution will have more comrades to struggle alongside and thus, will be better supported as we struggle within our own community.